Stolen September 2016 from the Southampton area. Large horse on bow rockers. Overall 50" high and about 8 feet long. 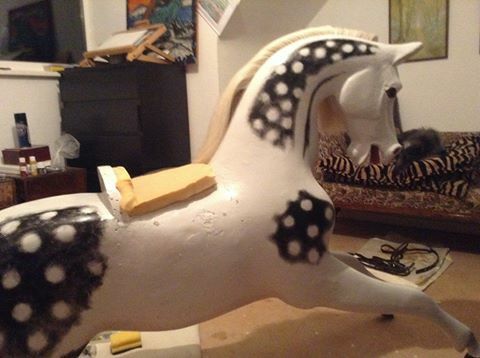 It may now have tack and hair or even be overpainted. Another image below. Please contact Christine on 02380 814707 if you can help. Stolen in transit July 2014 from a colleague who used a courier found on Shipley. The courier is not helping to locate the horse. Shipley can't help either. It's a small Lines 'Sportiboy' horse. Any information to Pam on 01945 450406. 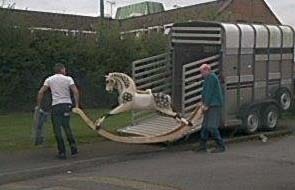 This Stevenson Bros horse has been stolen. it had a name plaque 'Rupert's Choice' on it but that may have been removed. "Sadly, anyone who has bought it is now in possession of stolen property and so are also potentially committing offences. 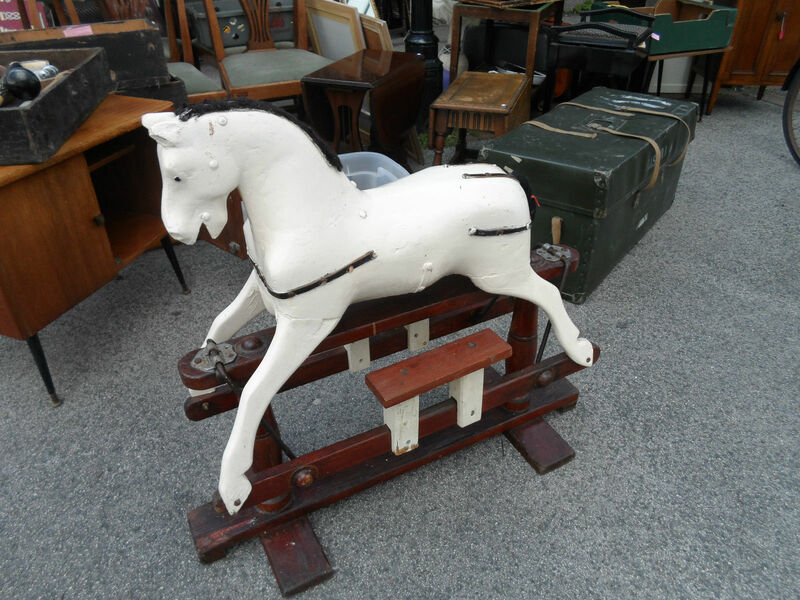 However, more importantly, we would like to reunite this treasured, valued rocking horse with its owner and his family. The father bought it in 1996 for his youngest son and is a family heirloom which obviously cannot be replaced. It had been a permanent fixture in the house." 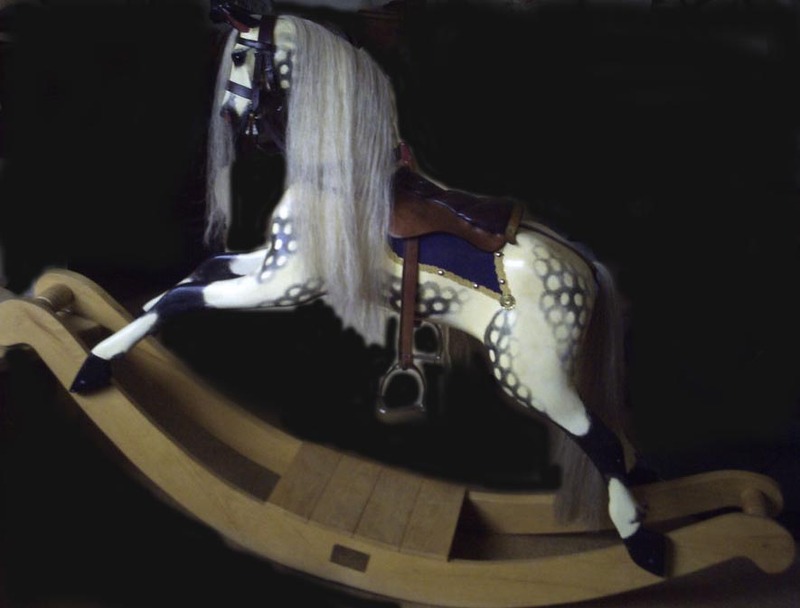 Anyone with information on the whereabouts of the rocking horse are urged to contact detectives at Witham police station on 101 or Crimestoppers on 0800 555111 ". 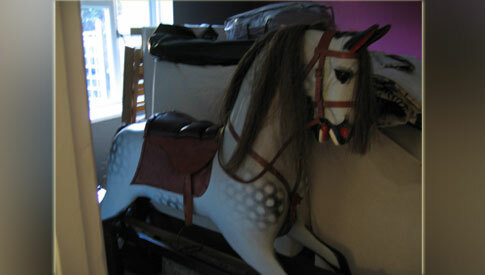 This horse is missing, feared stolen. If you have seen it, please contact the owner on 01200 443388.